I loved Kate Summerscale’s previous book The Suspicions of Mr Whicher, an absorbingly detailed re-creation of a child murder which shocked (and titillated) Victorian society. 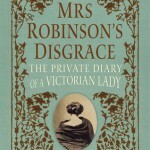 And on the face of it, Mrs Robinson’s Disgrace contains many of the same ingredients: history, hypocrisy and an unsolved mystery. But I’m afraid I found it very disappointing. Though there are a number of interesting nuggets about the iniquities of mid-C.19th divorce laws, for example the lower burden of proof required for husbands to prove adultery than for wives, there’s nothing that really surprises. 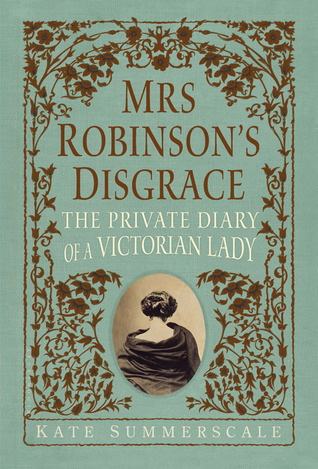 Mrs Robinson is portrayed as an English Madame Bovary: frustrated, bored and mistreated by her husband in equal measure she seeks out alternative male company and ends up compromised in very public fashion, her intimate diary confessions the subject of legal test-case scrutiny. With thinly-drawn characters the book is padded with diversions into the emerging fields of phrenology and Darwinian-inspired theories of sexuality; all interesting enough, yet too briefly explored here to feel much more than a surface-skim. And, unlike Mr Whicher with its huge and plausible last chapter reveal, there is no answer to the central question at the heart of the book — did Mrs Robinson commit adultery? — and so it just peters out into a pedestrian ‘what happened to them next’ conclusion. Now there was me thinking someone had written a good book about Peter Robinson’s wife Iris.